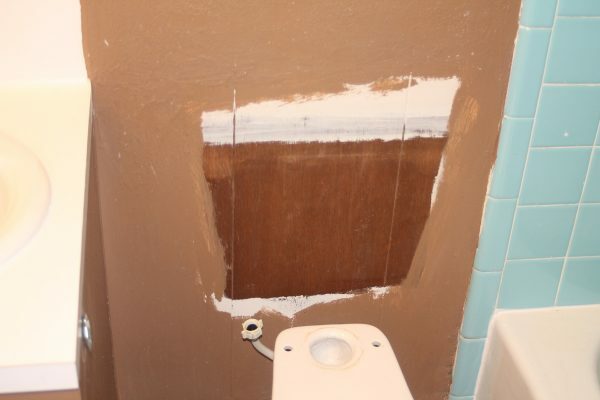 Call a plumber, pay $300+ to remove the toilet, then paint behind the darn thing and hope you like the color, paint, then call the plumber back to pay another pretty penny to re-install the toilet. Let’s just hope this isn’t your only bathroom because you could be toilet-less for quite a few days! Eeks! Leave the space behind the toilet unpainted, so everytime you’re standing at the sink you look down and feel annoyed all over again that you left it unpainted. Take a chance with a brush and end up with paint all over the toilet, you will try to clean it and think you got most of it but for years you will find specs of that color you love caked to the ceramic, not where you love seeing it. Enter Paint Behind® the resolution to all of those problems above. You can now pick your color, paint your bathroom, every inch of your bathroom, and put everything away all in the same day. The patented Paint Behind® comes with the tool itself along with two paint pads to slide on and off the tool. The pads are washable and reusable so you can use repeatedly. The packaging doubles as a perfectly designed paint tray in which you can pour just the right amount of paint in, dip the tool and away you go. 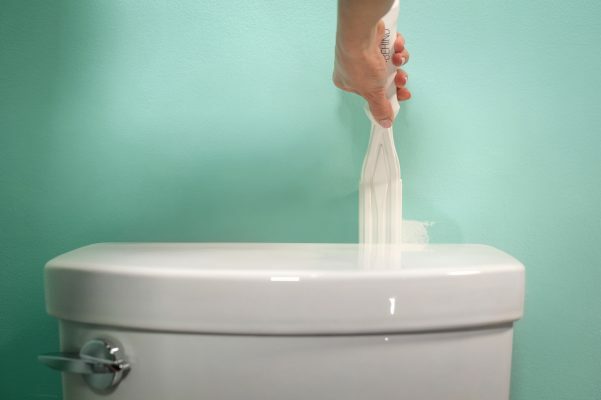 Now the story of the Paint Behind® began with a frustrated Interior Designer unable to paint behind her own toilet… but the story goes on with the endless uses of Paint Behind®. Got an old house? Get right behind your radiators. Painting outside? Slide the tool right behind your gutters and downspouts. Works great between deck railings too! Can’t move a piece of furniture? Slip the tool behind slide down – you can’t see past 8” so as long as that furniture stays put you’ll never know behind it isn’t painted. Mounted flat screen TV? Get right behind without removing the expensive mount and paint right up to the wiring. Hard to move furniture or don’t want to unhook your gas stove? Slide the tool just beside or behind big appliances for a perfectly clean look at the edge. Paint Behind® Starter Kit along with a Refill Kit (2 additional paint pads) is available here at PaintBehind.com. Also available at select retail Sherwin Williams’ stores – contact us to learn which store near you has Paint Behind® in stock! And finally, check out TheGrommet.com for The Paint Behind as well!